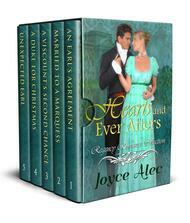 Five heartwarming Regency romances filled with mystery, intrigue, surprising twists, and of course, love! An arranged marriage turns dangerous when he will stop at nothing to make her his bride! Will her hero prevail? After her wedding day, Alice never saw her husband again. She must now take charge of her own life if she is to ever know happiness! Henry is thrilled to have a second chance at love, but he risks losing Eleanor again when a scandal threatens to tear them apart! Isabella did not want to end up on Charles’ doorstep, but it might be exactly what both of them need… A clean, Regency romance to warm your heart. Inspirational romances that will warm your heart! 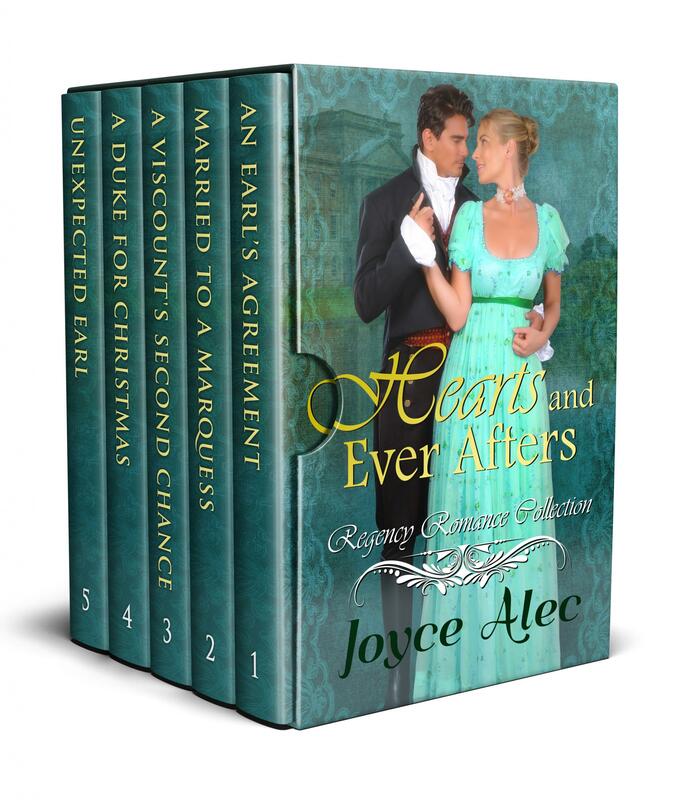 If you love clean and wholesome, Regency-era romances with a strong woman heroine, you will love the Hearts and Ever Afters Regency Romance Collection! Authors Note: These are clean, stand-alone romances. Each book in the series is approximately 130 pages.